Comfortable, lived-in look in hand-brushed, lightly faded, cotton blend. 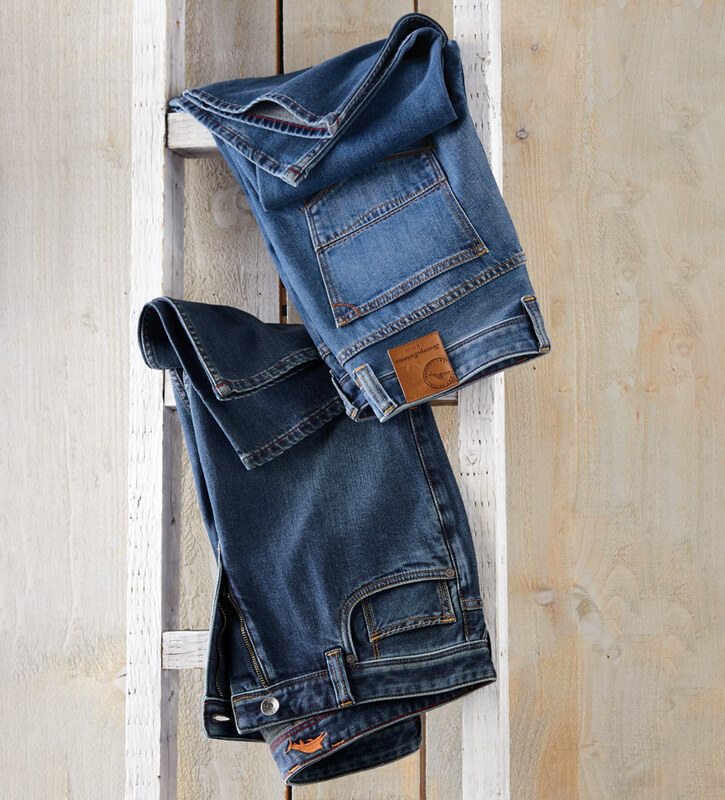 Classic five-pocket style, topstitching detail, authentic fit with straight legs; sits below waist. 9.5 oz. 92% cotton/8% polyester. Machine wash. Imported. 34" inseam.